XZRS: John Le Bon - 9/11 Was Not Hit By Planes, the Twin Towers were Vacant and No One Died. 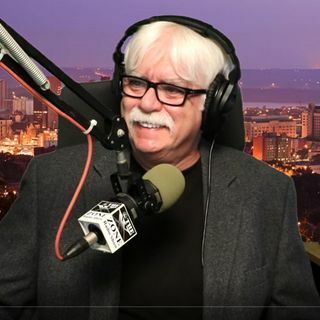 John Le Bon, who calls himself “The World’s Leading Skeptic” from did not realize that stupidity and misinformation was not the order of the day on The ‘X’ Zone Radio Show and was booted off air at the end of the 3rd segment. An Australian he claims that he is primarily known for his work on where his opinion based video channel that has attracted over 6,000 likeminded ... Maggiori informazioni people since 2015. Over the past few years JLB has developed (and attempted to share without much success) an epistemological framework he describes - without peer review - as ‘real skepticism’, whereby even the most fundamental ‘truths’ which most people generally take for granted are evaluated on an empirical and logical basis, and no field of inquiry is considered ‘taboo’. Amongst his warped opinions is that 9/11 really did not happen…the towers fell, because he claims they were vacant. No one died in the attack because he has been unable to find the names of those who have reportedly perished on 9/11 databanks. Planes never struck the towers - since a plane, according to his calculations could never fly at the speed of 500 mph or over at the altitude of the twin towers. The images of the planes on video footage and still photos were all cgi. None of the calculations that he used to come to his 9/11 conclusions had been verified nor did he contact any aeronautic expert about the speed and impact opinion that he came to.